Laws relating to the cashing of checks are established at the state, as opposed to the federal level. State check cashing laws are based on the Uniform Commercial Code, which provides a framework for inter-state commercial laws. You can cash checks at banks, at check cashing stores and at certain other establishments licensed by the state to negotiate checks. When you cash a check you must identify yourself by providing the establishment cashing your check with a valid form of government issued ID. Although in some instances, check cashing establishments can choose to cash checks without requiring ID. To do so would leave those businesses with no recourse in the event of fraud or if a cashed check later gets return unpaid by the issuing bank. Therefore, most check cashing centers and banks require an ID and many also take a thumbprint signature. You can cash a check at the bank funds are drawn from even if you are not an account holder at that bank. However, most banks charge a check cashing fee for non-customers, and legally banks are under no obligation to cash checks for non-account holders. The Uniform Commercial Code states that an account holder can file a complaint against a bank for refusing to cash a check, but the non-account holder presenting it has no right to do so. While banks charge fees for check cashing, these fees are not key to the bank's business plan. However, check cashing centers rely on fee income from cashed checks to generate profits. In many states no limits exist on check cashing fees. However, in Ohio check cashing fees are capped at 3 percent of the face value of the check. In Georgia fees for cashing government checks are capped at the higher of $5 or 3 percent of the face amount of check. Fees for personal checks are capped at $5 or 10 percent of the face amount of the check. What are the Steps to Cashing a Check? What Is a Float Transaction at a Bank? How Much Time Before It Is Too Late to Cash a Check? What Does a Hold on a Bank Account Mean? Technically, checks presented for payment more than six months after the issue date are "stale dated." 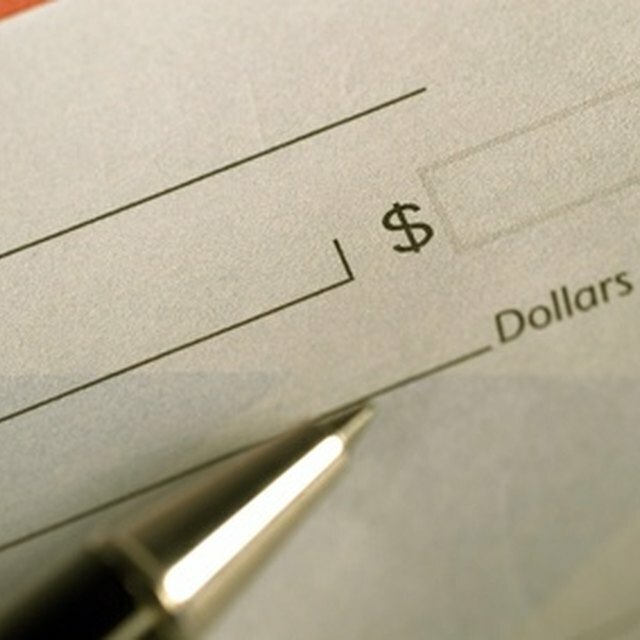 Banks do not have to honor stale-dated checks although many banks choose to process these items regardless of the issue date. Official checks do not expire and are not classified as "stale dated" regardless of age. However, state laws relating to abandoned property require banks to hand over the proceeds used to purchase cashiers checks, if the check payee has not negotiated the check within a certain number of years. Therefore, although the checks do not expire, you often have difficulties negotiating the checks if a few years have past since issuance.